Will the decline in offshore wind pricing offset the decline of tax credits? The U.S. wind industry will face tough times post-2021 when the value of the Production Tax Credit drops to 60 percent in 2022 and 40 percent in 2023, before disappearing entirely in 2024. Using data and analysis from its latest North America Wind Power Outlook, the team at Wood Mackenzie Power & Renewables presents five drivers that will sustain demand for new wind capacity additions in the market during this time. Despite significant federal opposition under the Trump administration, economic realities will continue to underpin a robust pace of coal retirements throughout the forecast period, leading to 66 gigawatts of total retired capacity from now until 2027. As utilities retire their coal fleets, their increased willingness to rate-base wind assets regardless of state-imposed renewable portfolio mandates positions wind power to meet their growing supply gaps. Especially in markets with less optimal wind levelized costs of energy, state renewable energy standards will continue to provide critical demand after the credit phaseout. These standards are not the driver they once were. After a rash of expansions in 2016, few states have strengthened their standards since Trump took office. (Massachusetts just broadened its renewable energy targets, while Arizona and California are close to expanding theirs.) Even after accounting for banked credits, the compliance gap faced by state utilities is significant and will continue to be a major driver for new wind builds regardless of whether additional states expand their renewable energy mandates in the near term. On August 1, Avangrid and CIP announced a stunningly low preliminary contracted price for their Vineyard Wind project off the coast of Massachusetts. 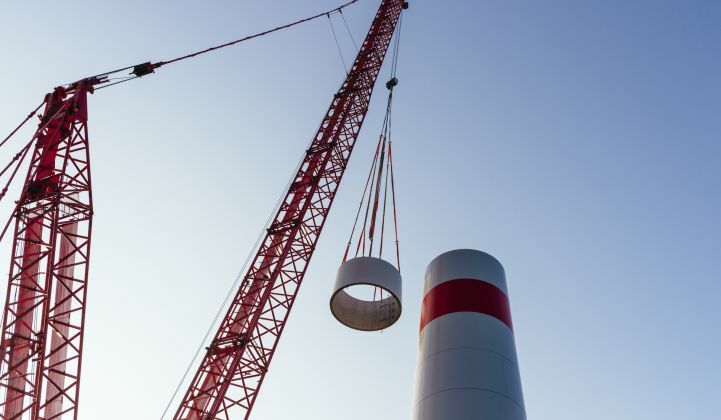 While this leverages the federal Investment Tax Credit to a degree that other upcoming projects will be unable to, it nonetheless represents a huge leap in U.S. efforts to close the gap with European offshore wind pricing and underlines the viability of offshore wind in the U.S. Northeast. With upcoming solicitations in New York and New Jersey set to contract several additional gigawatts of offshore wind capacity in the next 24 months, offshore wind will ramp up just in time to help cushion some of the blow to installation volume caused by the Production Tax Credit phaseout. While wind power is not expected to return to 2020’s rock-bottom, full-PTC pricing before the end of the 10-year forecast, steady cost reductions stemming from factors including technology improvements, the adoption of bigger turbines with larger blades, and a sweeping supply chain reorganization will keep wind competitive on a pure-cost basis in much of the U.S. “wind belt” region during and after the PTC phaseout. Once the phaseout is compete in 2024, wind will still come in below new combined-cycle natural-gas facilities on a levelized cost of energy basis in 20 states, with this figure growing to 28 states by 2027. Solar PV, however, will be a potent competitor, as its cost reductions will proceed faster than wind’s, as solar also benefits from an extended ITC phaseout period that does not begin until 2024. Battery storage costs will continue to fall as technological innovations continue, supply chains mature, and regulatory changes allow proper valuation of storage attributes. As battery costs fall, especially for 4- and 8-hour battery solutions, the natural-gas peaking model grows increasingly ripe for a disruption that will create new opportunities for wind capacity additions. Download the free North America Wind Power Outlook executive summary here. GTM Research, MAKE and Wood Mackenzie have combined to form Wood Mackenzie Power & Renewables. With an unparalleled level of depth, Wood Mackenzie Power & Renewables' integrated power, solar, wind, storage and grid edge market intelligence services enable you to make strategic decisions and forge the path toward a decarbonized and decentralized electricity market. Join GTM and Wood Mackenzie for this year's Power & Renewables Summit in November. We'll discuss and debate how power markets will transform over the next 10 to 20 years.